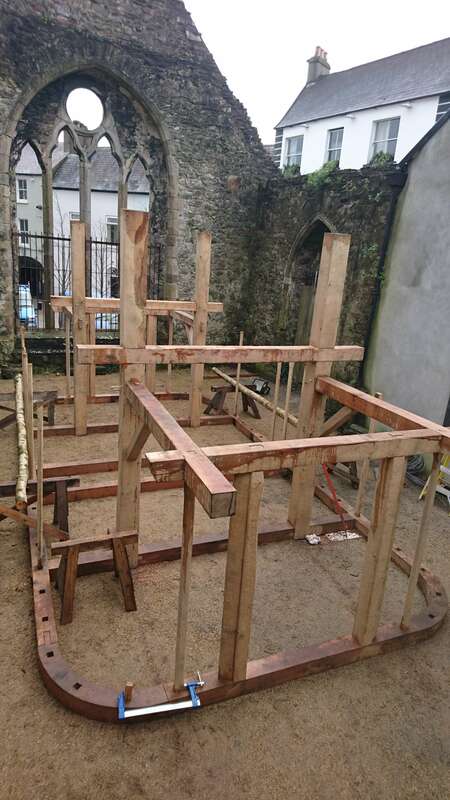 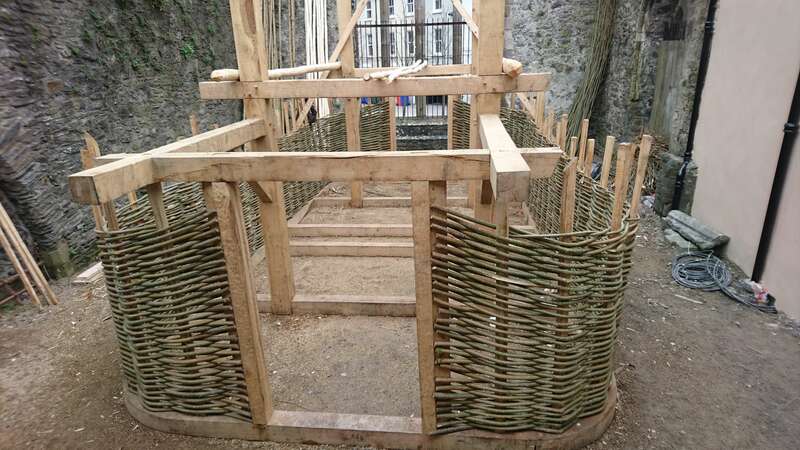 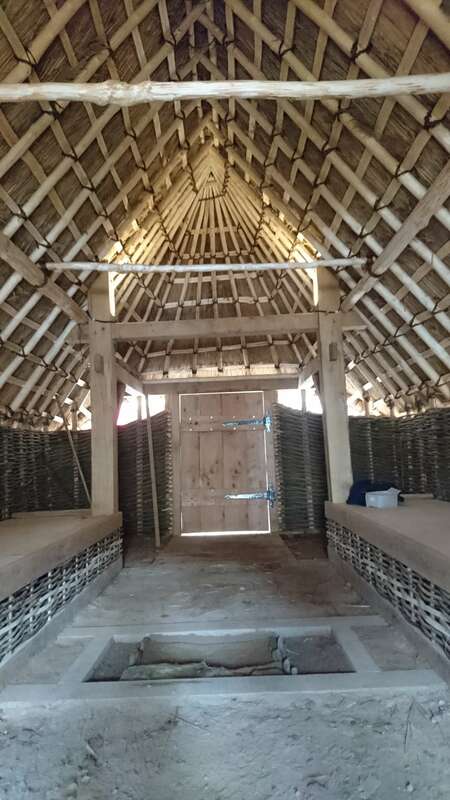 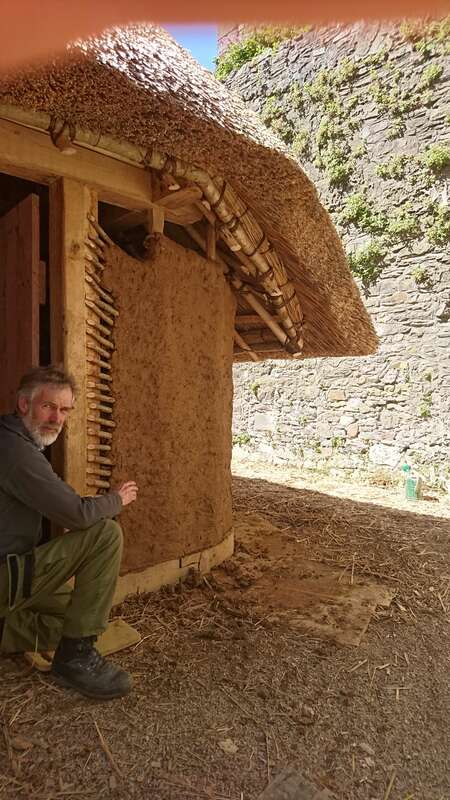 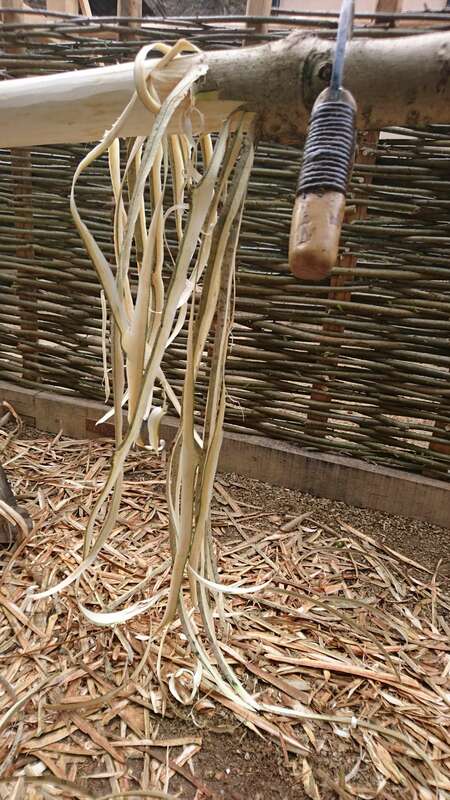 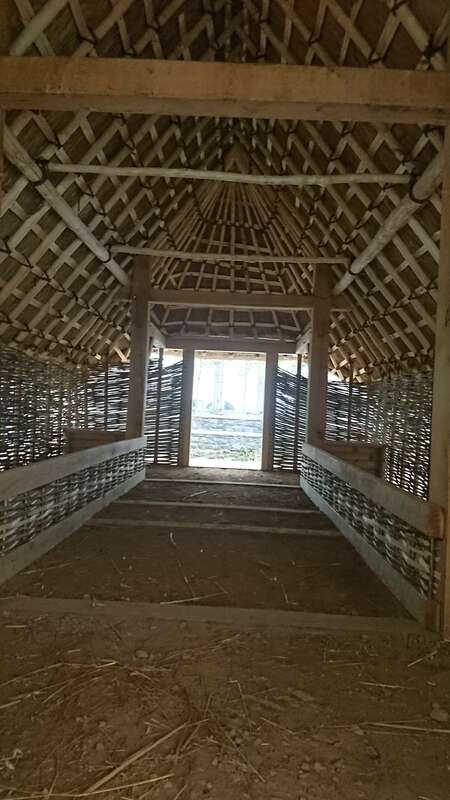 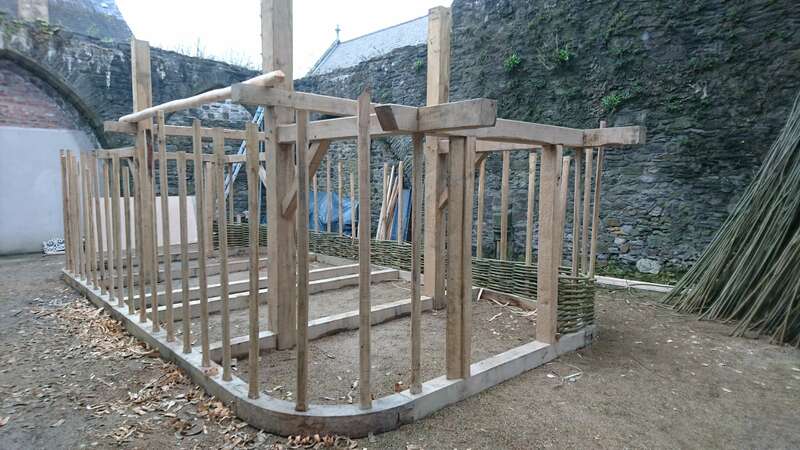 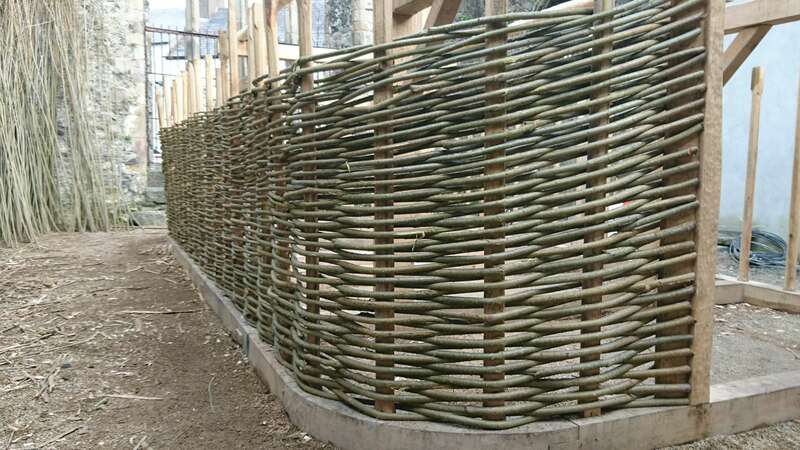 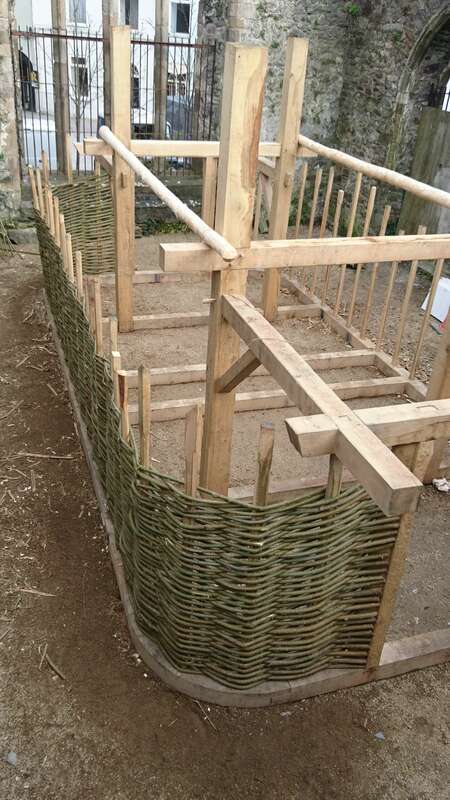 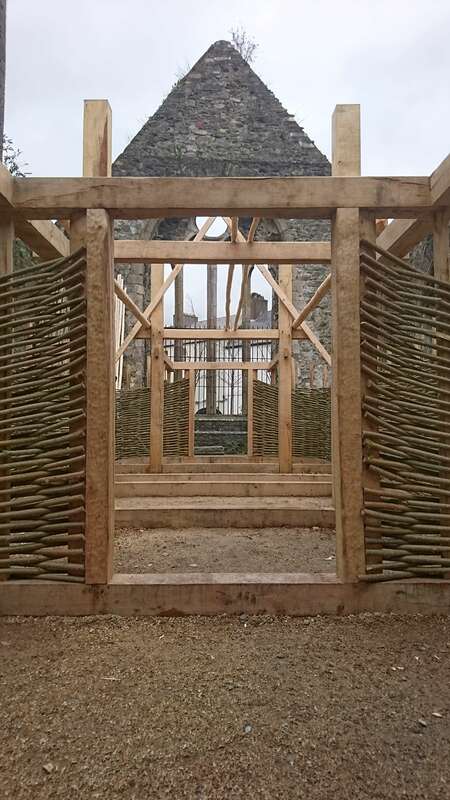 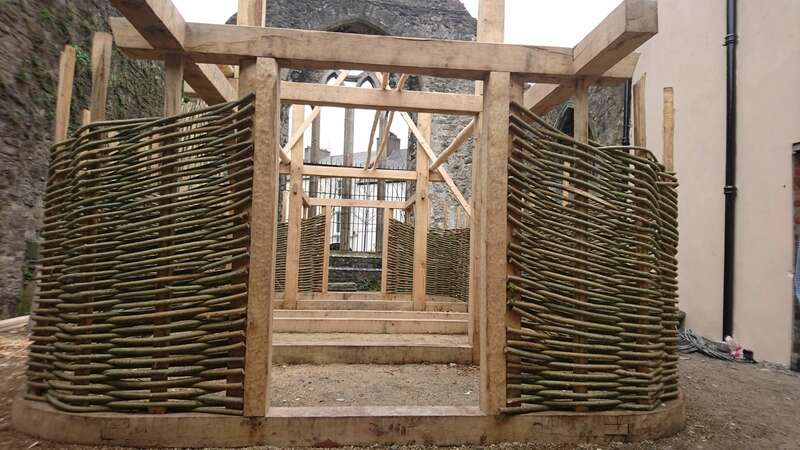 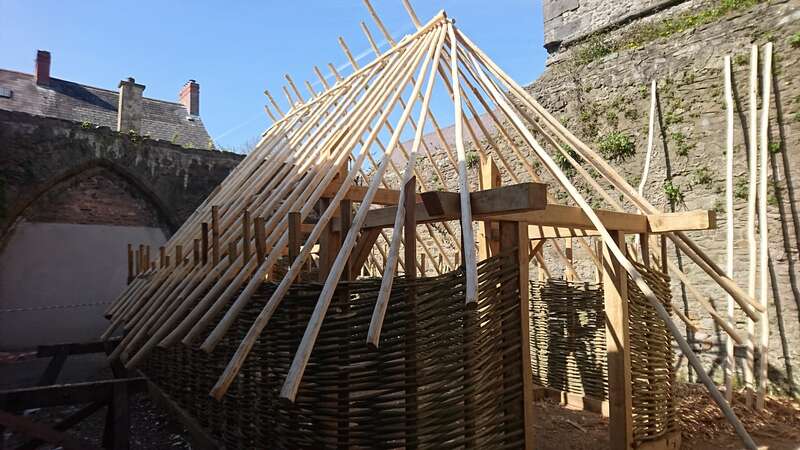 A reconstruction of a “type one” (Patrick Wallace) Waterford Viking House, constructed with Irish Oak (Trestles and Sill Beam) Hazel/Willow Wattle walls daubed with clay, straw mix (cob). 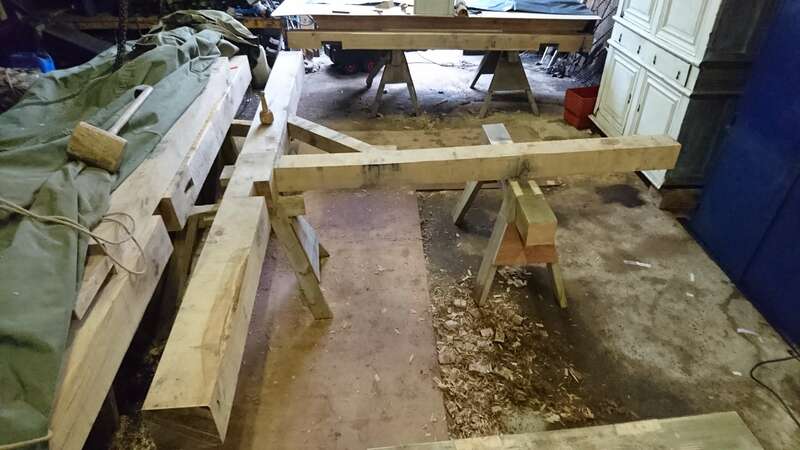 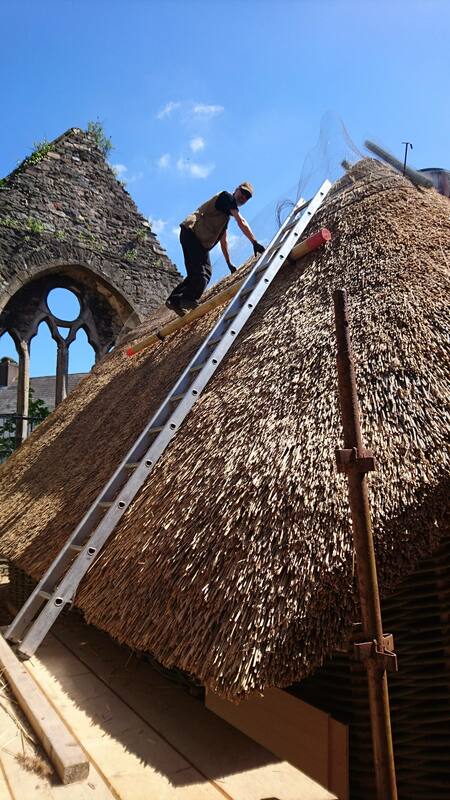 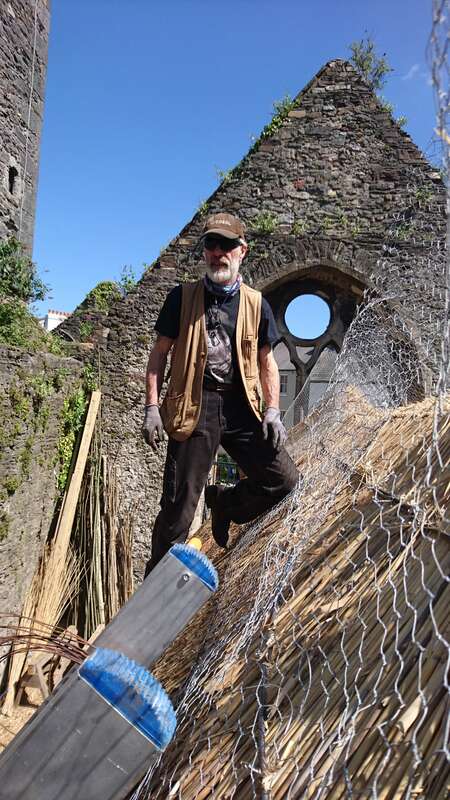 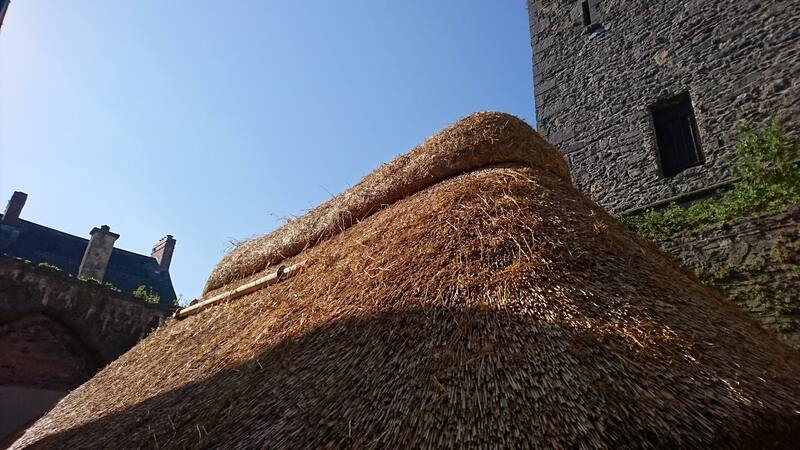 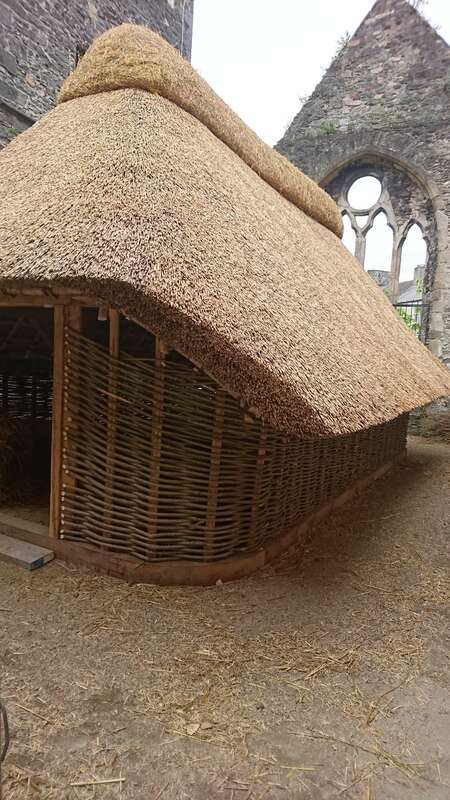 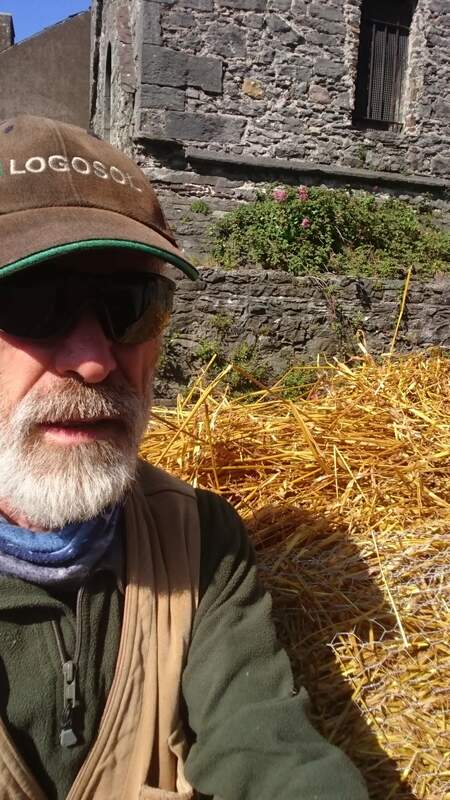 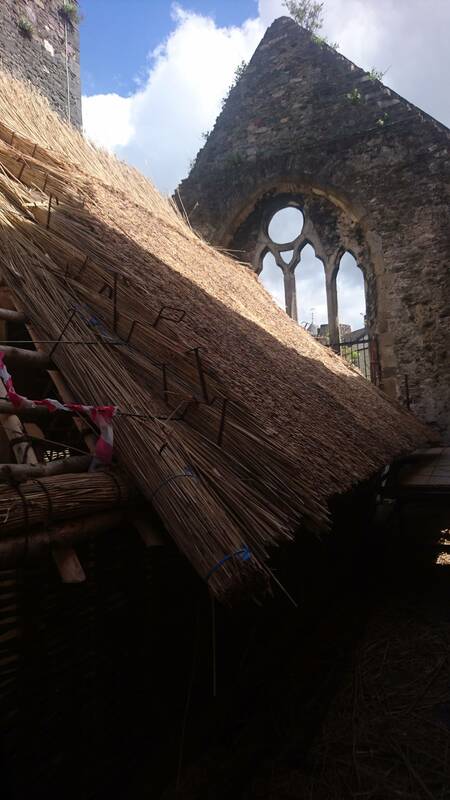 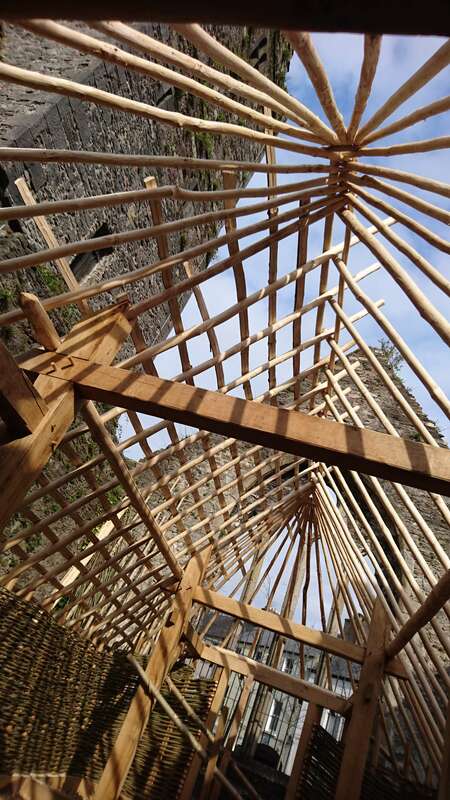 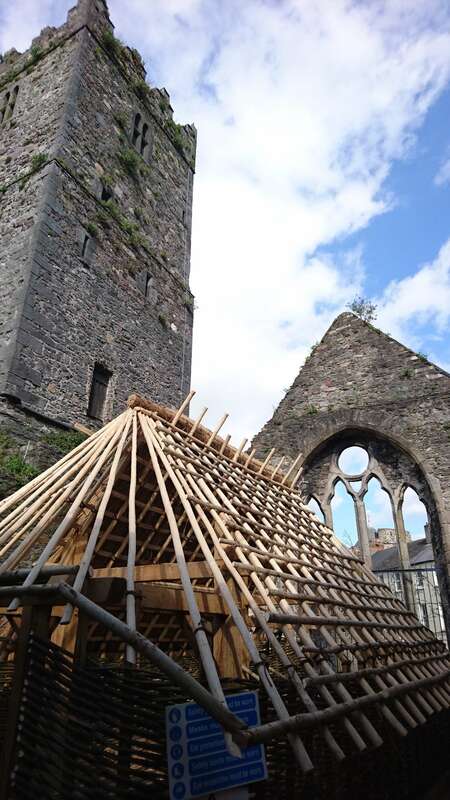 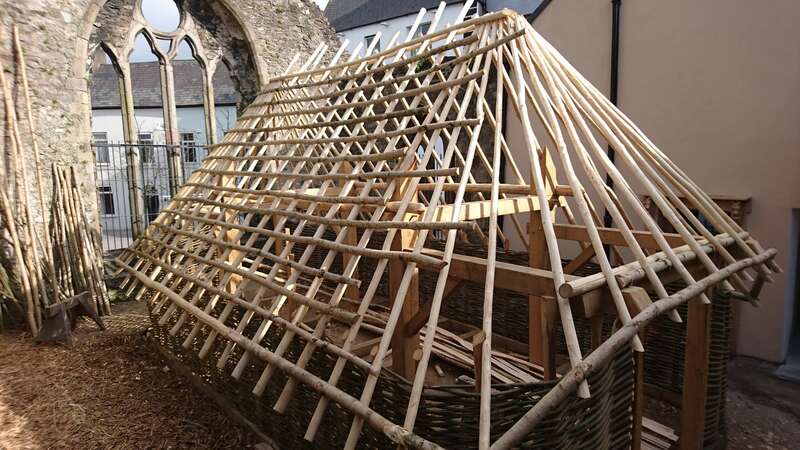 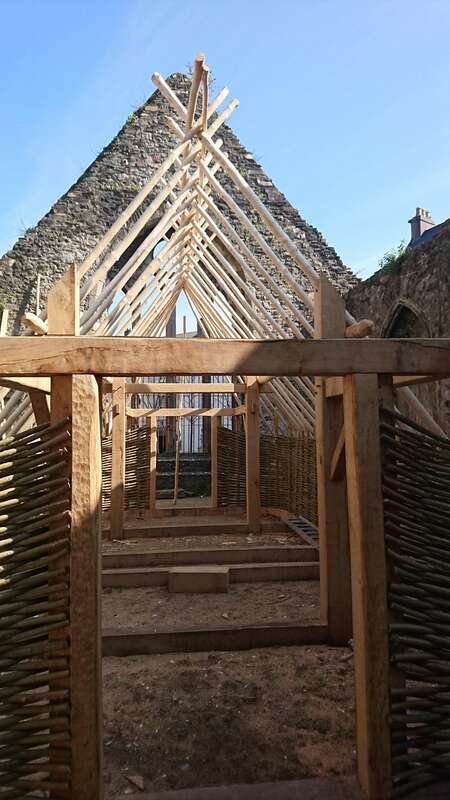 Roofed with Ash rafters, cleft Ash battens, and covered with reed thatch (Jimmy Lenehan). 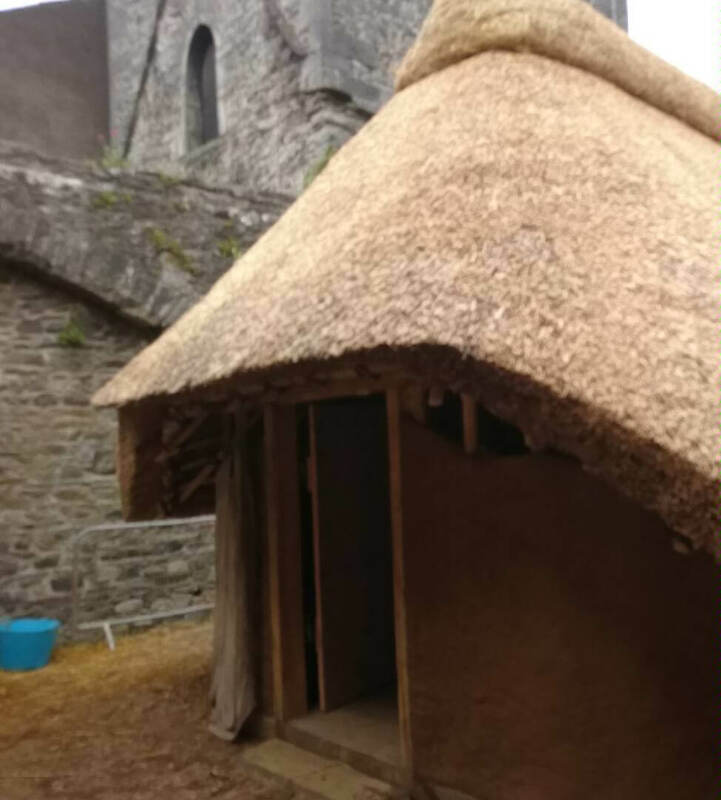 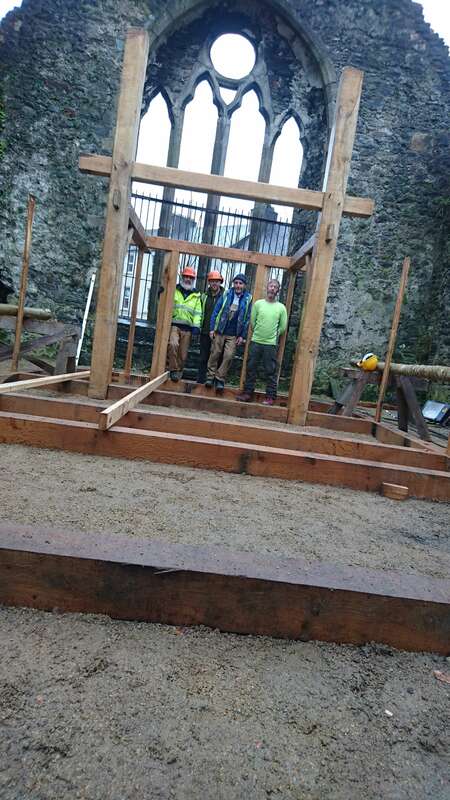 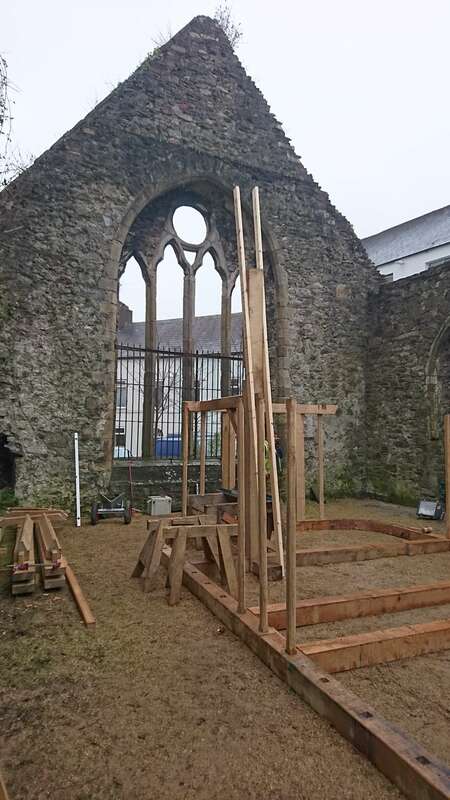 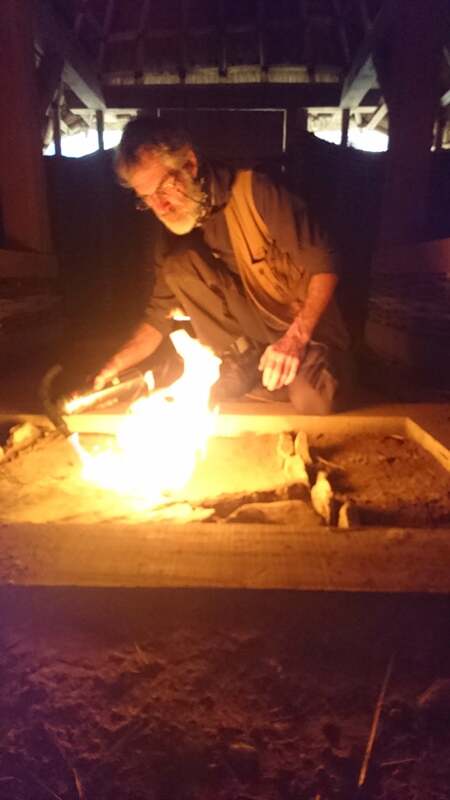 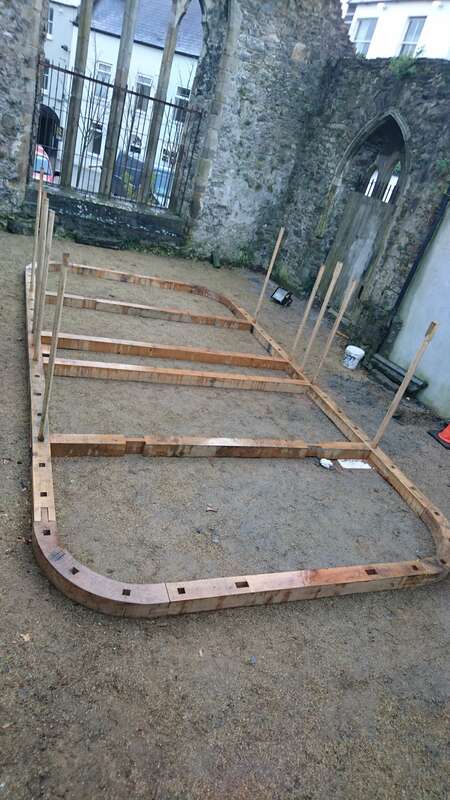 The Viking house has many unique features, such as the Buttressed door posts (see home page video) and a faithful reconstruction of a central fire hearth, from the excavation of a Waterford Viking house in the 1980’s (Orla Scully).